Gaza terrorists fired a rocket at Tel Aviv today. The Israeli Iron Dome battery deployed in Gush Dan intercepted the long-range missile over the greater Tel Aviv area on Saturday afternoon. 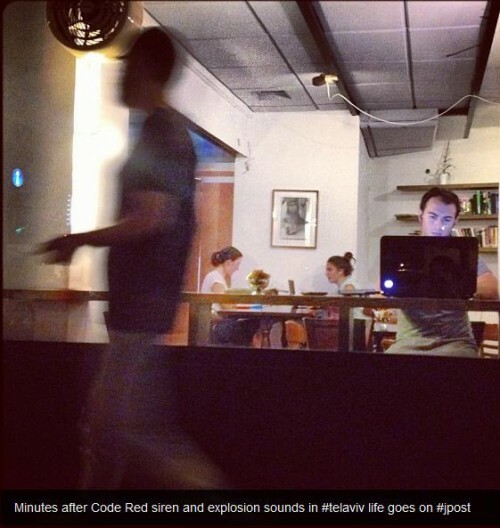 Minutes after Code Red siren and explosion sounds in Tel Aviv this afternoon – life goes on.